El Segundo, Calif., September 7, 2010—Capitalizing on a gamut of hot-button issues ranging from global warming to aging populations, the market for high-value Microelectromechanical Systems (MEMS) is set for very rapid growth in a large number of highly diverse segments, according to the market research firm iSuppli Corp.
High-value MEMS are defined as sensors and actuators for applications that are outside the high-volume consumer electronics and automotive volume markets, and instead address the industrial, medical, energy, optical telecom and aerospace-defense segments. With the exception of the consumer-and-mobile MEMS market, the high-value MEMS space is the fastest-growing MEMS technology sector—ahead of the inkjet and automotive MEMS markets. In 2014, high-value MEMS revenue will hit an estimated $2.6 billion, equating to a Compound Annual Growth Rate of 19.7 percent when measured from the starting year of 2009, supply chain research from iSuppli indicates. In addition to the robust expansion expected for the years ahead, the high-value MEMS market is characterized by the large number of market niches in play; iSuppli currently tracks approximately 110 device and application cases in the various high-value MEMS segments. For instance, while the top 20 suppliers for the overall MEMS market account for 79 percent of total revenue, the top 20 suppliers in high-value MEMS account for only 60 percent—leaving more market opportunities for many suppliers to compete in the space. 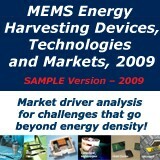 At present, the high-value MEMS supply chain comprises a wide variety of manufacturers, including large system companies with their own MEMS production like Honeywell Inc. and General Electric. The supply chain also includes big semiconductor companies like Analog Devices Inc. and Freescale Semiconductor; independent sensor suppliers such as VTI Technologies and Omron; specialized entities like MEMSCAP and many start-ups and fabless semiconductor firms. 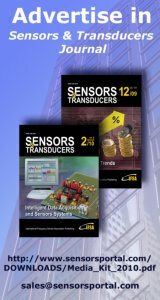 Within the high-value MEMS market, industrial applications such as building automation and semiconductor manufacturing dominate, accounting for approximately 56 percent of overall high-value MEMS revenue projected for 2010. Medical electronics are in second place, followed by aerospace-defense in third, and wired communications in fourth. 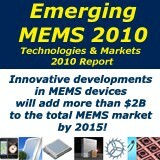 Learn more about the MEMS market with Dixon’s upcoming report, entitled: Medical, Industry, Aerospace and Energy: Fertile Ground for MEMS.